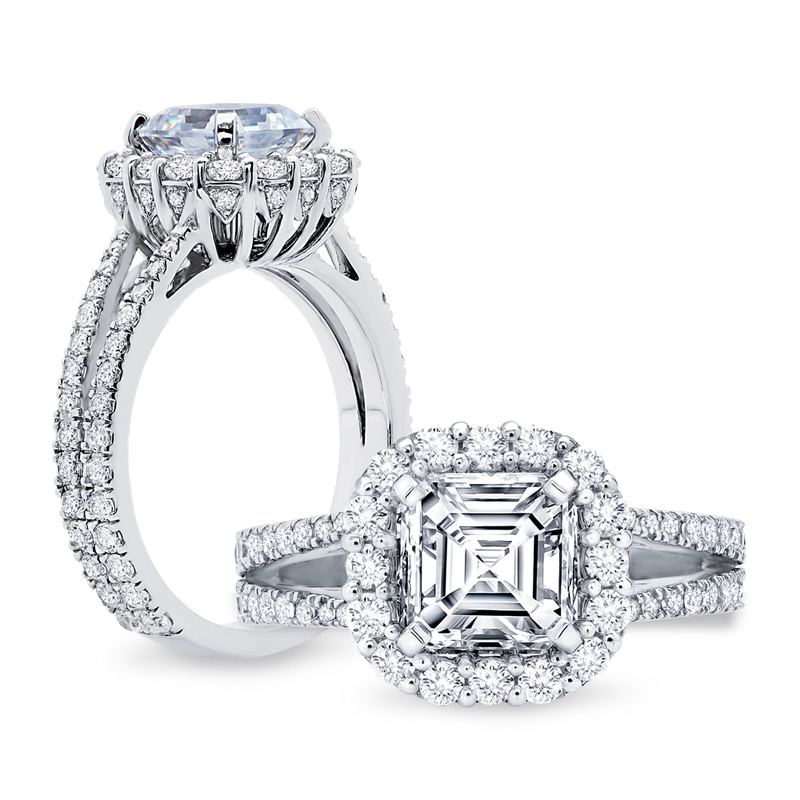 Peter Storm’s take on an important halo featuring a surprise row of diamonds beneath the diamonds circling the center stone. The ring features two rows of diamonds that lead up to the cushion shaped halo. This ring can be made for a round center stone.